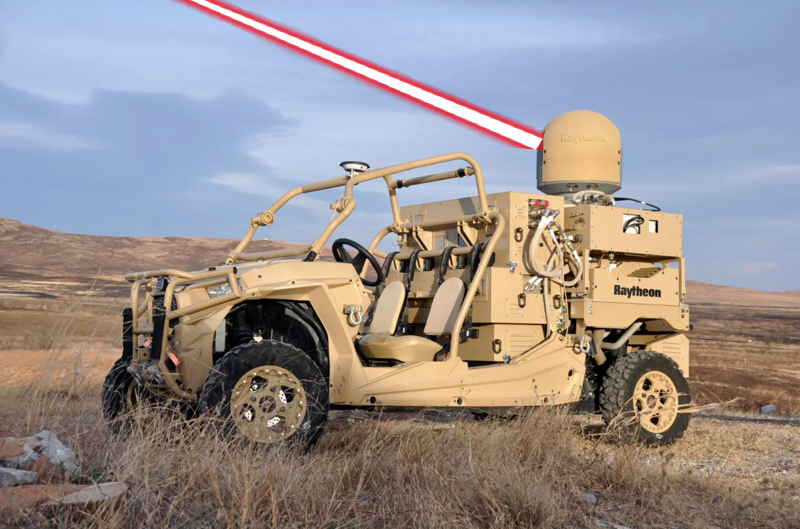 Earlier this year, Raytheon boasted in a press release about combining a solid-state laser with an advanced variant of the company’s Multi-Spectral Targeting System (MTS) of sensors — mounted on a militarized all-terrain Polaris light-vehicle. 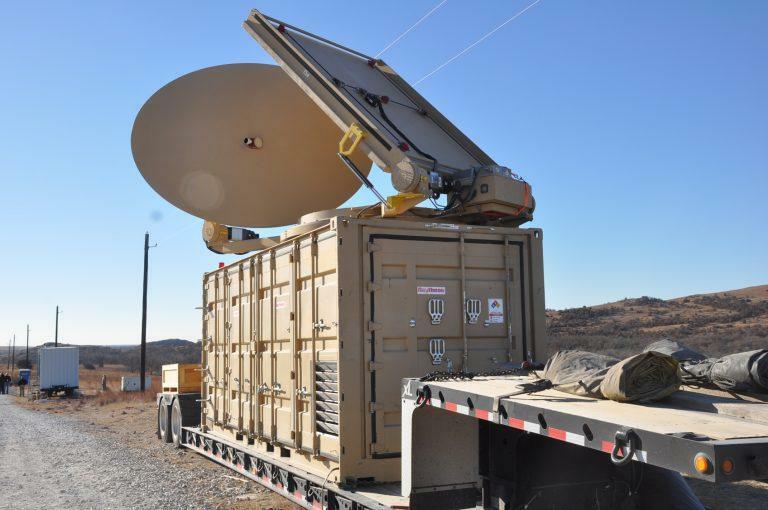 The press release describes the vehicle as an “agile, mobile, and effective” war machine to protect troops from weaponized unmanned aerial vehicle (UAV) threats. Raytheon said its “engineers and physicists are doing something that has never been done before,” and frankly, the militarized laser dune buggy looks like it is straight out of the Mad Max movies. “Basically, we’re putting a laser on a dune buggy to knock drones out of the sky,” said Dr. Ben Allison, director of Raytheon’s high-energy laser program. “It’s actually a little more complicated than that,” Allison added. Allison’s team has managed to mount a high-energy laser with an advanced variant of Raytheon’s Multi-Spectral Targeting System (MTS), an advanced package of electro-optical/ infrared (EO/IR), laser designation, and laser illumination capabilities integrated into a single sensor onto the bed of a Polaris MRZR. As stated by Allison, the concept of laser blasting drones from the sky with dune buggies was conceived from a meeting with Raytheon’s CEO Chairman Tom Kennedy last year. Kennedy expressed his disbelief to Allison when an allied nation [most likely Israel] used the Patriot missile system to intercept cheap weaponized drones outfitted with grenade-like munitions. Typical quadcopters used by terrorist groups are worth several hundred dollars, while Patriot missiles cost about $2 million per rocket. According to Raytheon’s latest press release, around forty-five unmanned aerial vehicles and drones were blasted out of the sky, downed by the company’s “advanced high-power microwave and laser dune buggy.” The field training exercise known as Maneuver Fires Integrated Experiment was recently conducted at Fort Sill, Oklahoma. 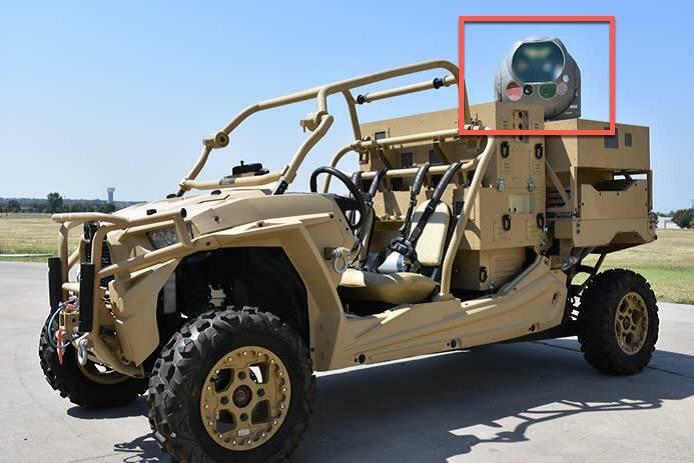 Raytheon’s high energy laser, or HEL, system identified, tracked, engaged and downed 12 airborne, maneuvering Class I and II UAVs, and destroyed six stationary mortar projectiles. Interesting enough, we reported on Tuesday, the Army is scrambling to plug the gap in short-range defenses. In doing so, the Army is testing its Mobile High Energy Lasers (MEHEL) mounted on the M1126 Stryker armoured personnel carriers in Europe. The Stryker-mounted MEHEL is designed for short-range aerial threats, such as weaponized drones. It is increasingly evident that the United States Department of Defense (DoD) and its allies cannot afford to use a $2 million Patriot missile to blast a $500 drone from the sky. As a result, to lower the cost-to-kill ratio, the Pentagon has decided to start strapping drone-killing lasers to its war machines. As we have said before, you are starting to get the picture of how the next war will be fought... Have you prepared?